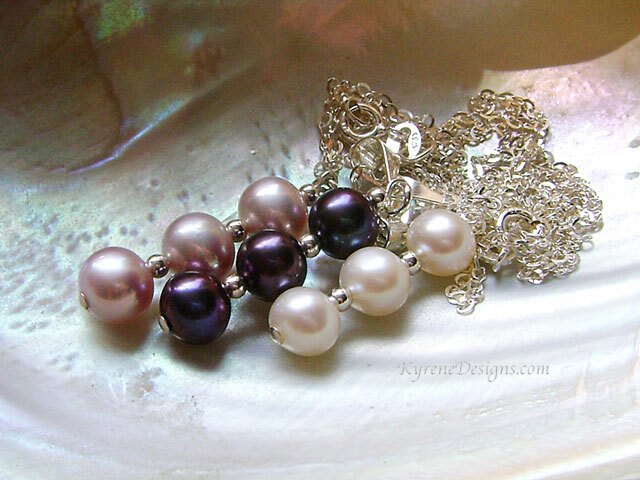 'Peacock' black, well matched freshwater pearls in this pretty pendant, with low tarnish argentium silver beads for easy care. 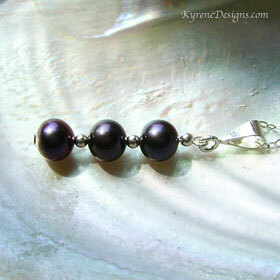 Iridescent black colour on pearls. Recommended with Mia pearl earrings. Length: pendant 3-4 cm. Pearl size 7-8mm. 18" sterling silver fine chain.